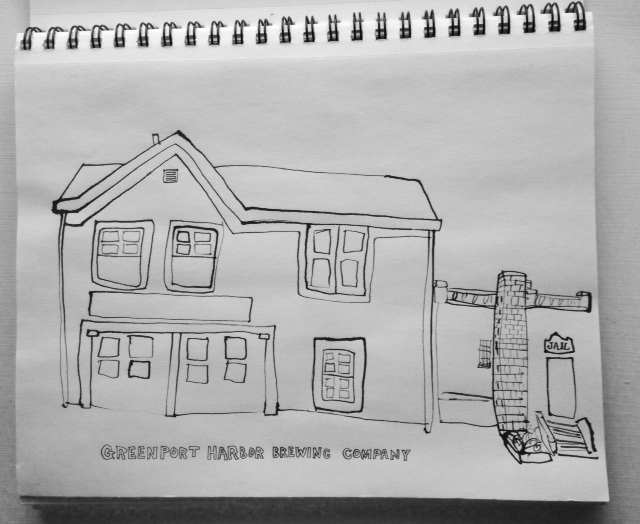 This Saturday & Sunday (Sept 20-21), I will be peddling my wares at the Greenport Maritime Festival on the North Fork of Long Island. 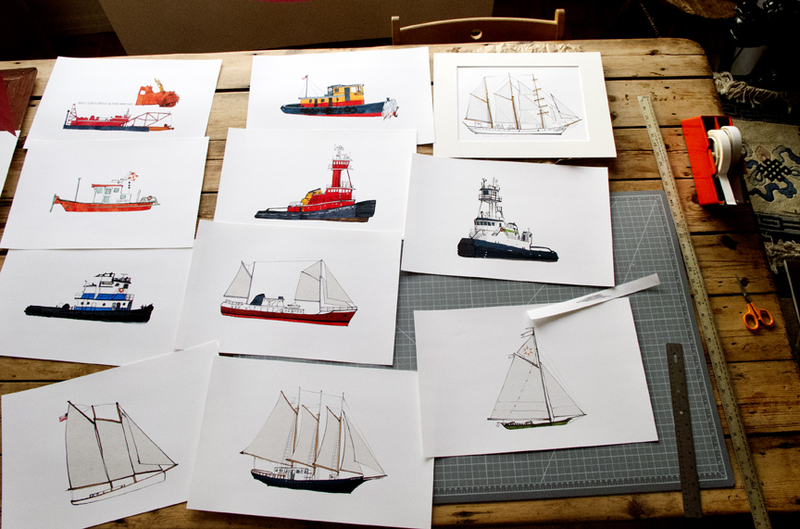 Ships stationery, prints, paper signal flags, signal flag playing cards, Irish linen tea towels, ship buttons etc. will make their usual appearances. Can’t wait ’til next week for a cool tshirt? 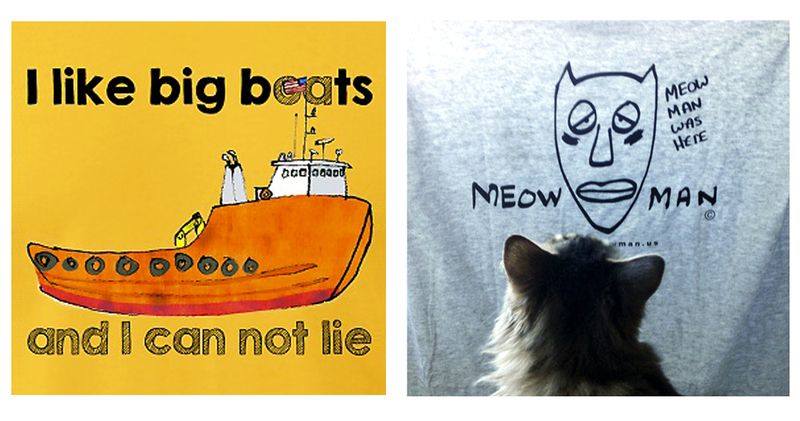 My favorites: Meow Man and Workboat Wear. 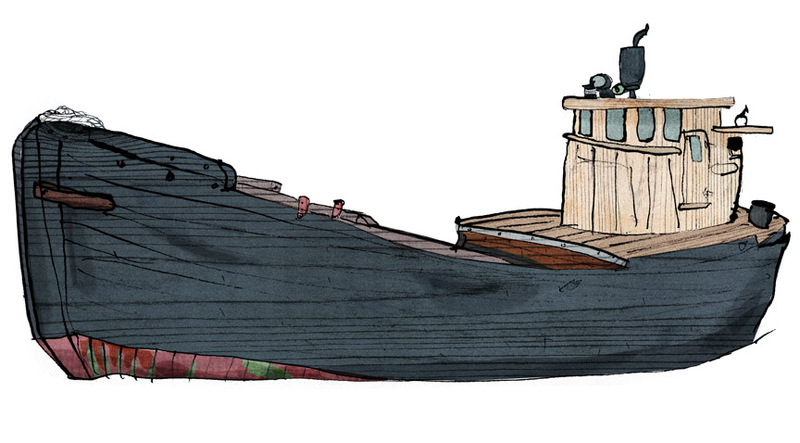 Workboat Wear is the very cool site of a captain working on a boat in the Gulf of Mexico, with contributions, …hijacked by… with contributions by the endless, inexhaustible talent of Fist o’ Fury Monkeyfist of Adventures of the Blackgang. A few bowsprite doodles have appeared on some of the Capt’s designs. Meow Man, is indescribable. Unique. Meow Man is.